Tango Mama is a versatile band with a repertoire ranging from sultry bossa novas to pumping dance numbers. 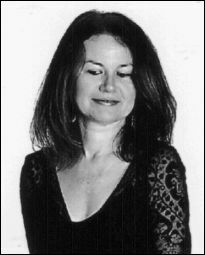 Led by Lorraine Silk who has had a vast career in the jazz field. She has performed at the major jazz festivals-Manly, Bellingen, Newcastle, Kiama, Illawara Darling Harbour as well as the Basement, Don Burrows Supper Club, Sydney Opera House, Jazz in the Domain and many corporate functions and radio shows. The group comprises Michael Bartolomei on piano, Lloyd Swanton on bass and Russell Dunlop on drums. Between them they have played and recorded with John Farnham, Tina Arena, James Morrison, SSO, Vince Jones, Mental as Anything, The Seekers, Tim Finn, Renee Geyer, Doug Parkinson and Tommy Emmanuel. This is a very experienced and professional group that can easily adapt to any occasion.